Joshua Hebert, Founder and C.E.O. 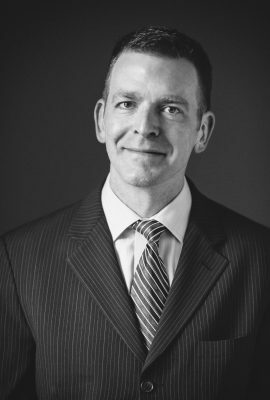 Joshua Hebert founded Magellan Jets in 2008 with 15 years of experience in finance, marketing, and aviation. His expertise in business start-ups, transformations, search engine optimization, and marketing has enabled him to grow Magellan Jets into the brand it is today. In founding Magellan Jets, Hebert melded his passion for aviation with his knowledge and financial savvy, which he gleaned from starting his career on Wall Street at Paine Webber and Shearson Lehman Brothers. Hebert went from the investment banking world to the advertising world where he led the marketing team to greater success at America City Business Journals. He then started in the aviation business in 2000, when he founded Jets International and paved the way to customer success and revenue in operations. As Founder and CEO of Magellan Jets, Hebert is the visionary behind an incredibly successful team that the executive leaders have diligently crafted over the past decade. Hebert’s expertise in business start-ups and transformations, combined with his extensive track record in growing businesses through creative new solutions, has culminated a team that has increased sales at Magellan Jets by 35% a year for almost a decade. He believes that making new employees feel a part of the company isn’t about “managing through” their perceived weaknesses. It’s about understanding their strengths and creating an environment they can thrive in. At the heart of Magellan Jets culture is Hebert’s relentless focus on results. He strives to make a difference in everything he does. While Magellan’s team hold common goals, individuals drive the richness of its culture. Magellan Jets’ enriching environment encourages people to achieve their best and make a lasting impact. It provides the flexibility to pursue individual passions and shape careers. Magellan has been recognized for its growing success several years in a row by joining the Hall of Fame for the Inc. 5000 list of Fastest Growing Private Companies in America, Boston Business Journal’s Pacesetters (now Fast 50) list, and as one of SmartCEO’s Future 50. Joshua has embraced web tech and social media to build brands and increase revenue. Among his most innovative accomplishments are the launches of the One Way Leg Search app which was the first ever online program that allows clients to manage their own travel with one device. 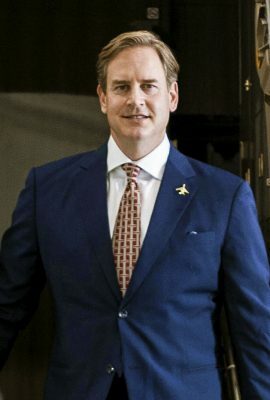 Hebert currently serves as Chairman on the Magellan Jets board, on the Governance Board for the Air Charter Safety Foundation (ACSF) as Vice Chairman, as Founding Chair of the Alumni Advisory Board for Raising a Reader Massachusetts, and as a member of both the Entrepreneurs Organization (EO) and the Young Presidents Organization (YPO). 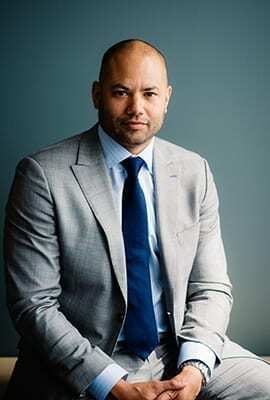 He is also a member of the Harvard Club and has been a finalist for Entrepreneur of the Year. He is quoted in Barron’s, Forbes, The Wall Street Journal, Bloomberg Business Week, and The Economist among other major publications; and has contributed articles to Fortune. 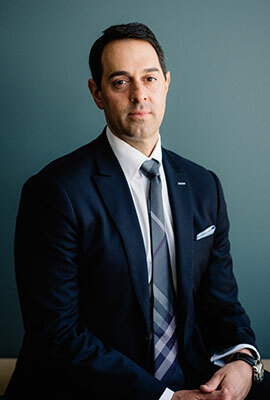 Before securing his role as Vice President of Magellan Jets, Gregory Belezerian garnered experience in the world of finance as an analyst and financial advisor. In 2002, Belezerian brought those skills to Jets.com as a sales associate, and his leadership helped Jets.com grow to a $42 million company. In his six years at Jets.com, he led the sales team as Senior Vice President in drastically increasing and sustaining their growth. In 2008, Belezerian joined his Jets.com colleagues, Joshua Hebert and Anthony Tivnan, as founder and Vice President of Magellan Jets. As VP, he works in close collaboration with the executive team to manage the company’s development. Belezerian is certified by Alpha One Pilot School in Plymouth Mass and supports Dana Farber’s Jimmy Fund. In his free time, Belezerian enjoys playing baseball, which he has a strong affinity for thanks to his post-college baseball career. Thomas Harrison is Chairman Emeritus of Diversified Agency Services (DAS), the world’s largest group of marketing services companies. A division of the Omnicom Group, DAS provides a broad range of marketing communications services including public relations, crisis management, branding, sales promotion, customer relationship management and specialty communications including health care advertising. With over 5000 worldwide clients, the DAS division under Harrison had annual revenues of over $6.0 billion and was the largest business unit within Omnicom. Diversified Agency Services is the world’s largest holding company of specialty marketing agencies. Harrison serves on a number of prestigious boards, including Fifth Street Asset Management, Zynerba Pharmaceuticals, and Madison Logic. He is a member of the Executive Committee of the Montefiore Health System, has served as a Fellow of the New York Academy of Medicine, and Governor of the New York Academy of Sciences where he served on the Sackler Global Nutrition Committee, a long-time passion of Harrison’s. He served as co-chairman of the New York Chapter of the U.S. Olympic Committee and raised substantial funding to support U.S. Olympic Athletes. Harrison is the author of INSTINCT Tapping Your Entrepreneurial DNA to Achieve Your Business Goals, and has appeard on CNBC, CNNI, Bloomberg and Forbes.com discussing his book. Harrison was recognized with the 2006 Distinguished Alumni Award and where Harrison received an Honorary Doctorate in 2007, the highest honor an American University grants to an individual. He is a recent recipient of the prestigious Ellis Island Medal of Honor, and has been honored by Long Island College Hospital, The Children’s Hospital at Montefiore, The Lymphoma Research Foundation, New York City’s Health and Hospital Corporation, Mt. St. Vincent’s College, the New York Academy of Medicine, and the New York Arthritis Foundation, each for his philanthropic work.